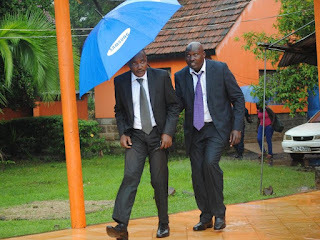 Tuesday August 14, 2018 - National Assembly Minority Leader, John Mbadi, is facing a backlash from his boss, Raila Odinga, and a section of Opposition MPs, who have accused him of failing to provide leadership to the coalition when the sugar report was rejected. This comes even as it emerged that Mbadi was among MPs who were bribed with as little as sh10, 000 to shoot down the report that had implicated Treasury Cabinet Secretary, Henry Rotich, his East African counterpart, Adan Mohammed, and former Agriculture CS, Willy Bett. The NASA legislators have accused Mbadi of failing to offer proper guidance to his troops. They have vowed to impeach Mbadi as the Minority Leader because they cannot trust him anymore. Kieni MP, Kanini Kega, on Monday called on the Directorate of Criminal Investigation and the Ethics and Anti-Corruption Commission to investigate the MPs for allegedly receiving bribes to shoot down the report last Thursday. “It is shameful that an elected leader can take money to shoot down a report that cost the taxpayers millions of money." "Some leaders are not setting a good example to Kenyans,” said Kega.